Imagine receiving a gift that keeps on giving, a gift that will not only benefit you but also change the lives of your family and friends. This is the kind of gift GOtv gave to three loyal GOgetters. Diaz Matende, Geraldine Tjiveze and Mornay Nghumonollys were recently announced as the winners of the GOtv Win a Business competition, with each walking away with a mobile kiosk worth N$70 000. The GOtv Win a Business Competition was launched in December 2016. Subscribers who stayed connected none-stop to GOtv between December 2016 and March 2017, were automatically entered into the draw. Winners were randomly selected from the central, western and northern regions of Namibia. The draws were conducted live on Radio Energy and Westcoast FM during the month of April. Born and raised in Swakopmund, Mornay Nghumonollys is a self-employed consultant. 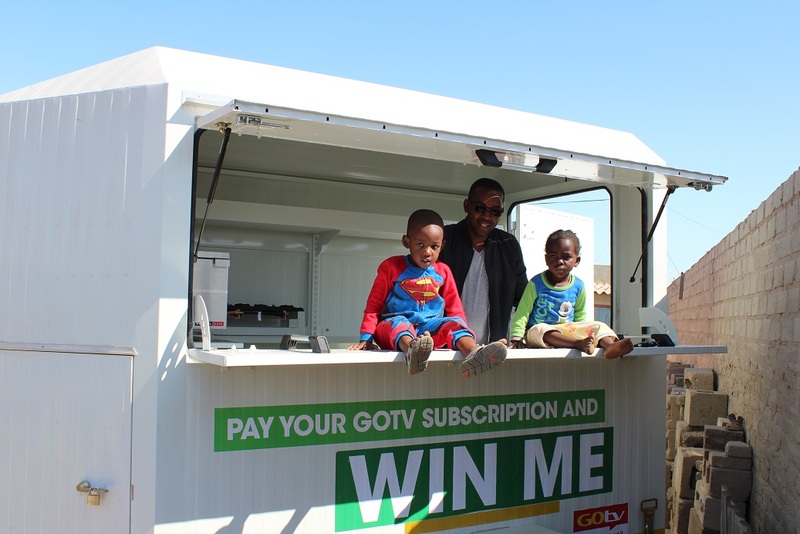 The father of five who lives in Swakopmund’s Mondesa location, expressed his gratitude to GOtv for the mobile kiosk. He plans to use it to sell fish and chips as a way to supplement his income, “This is such a great prize, I can use it to make a living, my children will be very happy to hear that I won.” Mornay has been a loyal GOtv customer and says his favourate channels are Kyk-Net and M-Net Action. GOtv offers a wide variety of genres for your viewing pleasure ranging from musical entertainment & movies, sport, lifestyle, documentaries, kids & teens, to religion, and news & commerce.